Note: President Ronald D. Liebowitz sent the following statement to the college community on August 28, 2013. During the past academic year, a number of students, staff, faculty and alumni have urged Middlebury College to divest its endowment of companies in the fossil-fuel sector. This call, which is part of a national movement to reduce future greenhouse gas emissions, has sparked a thoughtful and, at times, impassioned dialogue across our campus. Since January, we have held two large public meetings on the question. In February, the Board of Trustees heard from a group of students advocating for divestment. Personally, I have met with and discussed the divestment proposal with scores of individuals and groups with a wide range of views on the issue. And I know many of my administrative, staff, and faculty colleagues have done the same. I can say with confidence that there has been no shortage of opportunity for people of all views on this issue to make their opinions known—and to learn from one another. The discussion and the questions it has raised prompted the Board of Trustees and the administration to take a hard look at how we manage our endowment. In recent months, together with the Investment Committee of the board, we have reviewed the investment strategy of our endowment managers and analyzed our investment returns relative to other strategies and other institutions. We have modeled how our endowment would have performed if we had used other strategies and how it is likely to perform in the future under different scenarios. We have challenged our investment managers to explore alternative approaches. And we carefully have considered what impact a no-fossil-fuels investment strategy would have on Middlebury College, on corporate behavior, and, ultimately, on the use of fossil fuels and on the environment. And, importantly, we have asked ourselves what more we can do on our own campus and with our own resources to make a difference. This debate has seen Middlebury at its best. The good faith shown by people on all sides of this question has been extraordinary. The discussion has raised awareness of our legacy of environmental leadership and caused us to look for new ways to extend that leadership into the future. To find out more about Middlebury’s endowment and how it is invested, the possible impact of divestment, and the record of environmental stewardship and leadership Middlebury has set over the decades, I encourage you to read the fact sheet that accompanies this statement. What practical effect would divestment likely have? Would it cause companies to change their business models or behaviors? Would it lead to significant changes in public policy and reduce consumption of fossil fuels? Will divestment ever be more than a symbolic statement? Is it the most effective way to address reducing greenhouse gas emissions? What impact would divestment likely have on future returns of the endowment? What additional costs might it impose? How might any change in the management of our endowment affect our ability to execute our core mission, maintain the quality of our curriculum, faculty, and small class sizes, and ensure that a Middlebury education is available to future generations of students of all means? Would divesting from companies in the fossil-fuel sector open the door to future requests for the College to divest from other areas of the economy that some might find objectionable? What would be the threshold for tolerance of the College’s investments, and how would this be determined? At this time, too many of these questions either raise serious concerns or remain unanswered for the board to support divestment. Given its fiduciary responsibilities, the board cannot look past the lack of proven alternative investment models, the difficulty and material cost of withdrawing from a complex portfolio of investments, and the uncertainties and risks that divestment would create. First, the Investment Committee of the board, including its student members, will work to develop a set of stronger ESG (Environment, Social, and Governance) principles that we can apply to our investment portfolio, both to identify those companies and managers who invest with certain principles in mind and those who consistently do not. As part of this effort, we will intensify our ongoing review of the College’s investment portfolio. Second, we will create ESG guidelines to help monitor investments and operations at our own campus in Vermont. We will issue periodic reports on our performance. And third, we will increase significantly the amount of the endowment directed toward ESG investments, including those focused on clean energy, green building projects, and other efforts to reduce greenhouse gas emissions and benefit the environment. We will announce more specifics about this in the fall. I believe these commitments are consistent with Middlebury’s mission and aspirations and will lead to concrete benefits for our community and beyond. And I look forward to the active support of many of you in implementing these proposals. The fossil-fuel divestment discussion at Middlebury College has raised many interesting questions. It also has focused attention on the complexity of managing an endowment of nearly $1 billion. Middlebury has prepared this fact sheet to provide background and context. 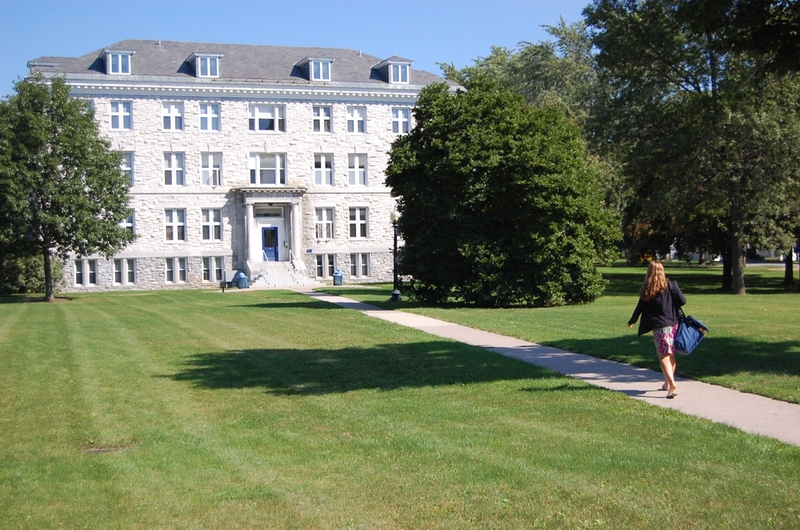 On July 1, 2013, the value of Middlebury’s endowment stood at $970 million. The endowment is the result of more than a century of giving by alumni, parents, and friends of the College, and the careful stewardship of those funds. The endowment is a trust that exists for the benefit of current and future generations. The Board of Trustees of Middlebury College stipulates how much of the endowment can be spent each year to support the College’s operating expenses. Under the budget for the 2014 fiscal year that started July 1, the endowment will provide $52 million—roughly 18 percent of the College’s operating expenses. If it is to continue to fund operations at comparable or increasing levels in the years ahead, the endowment must grow through new gifts and, especially, through the returns it earns on its investments. Ensuring that the endowment is well managed is one of the primary fiduciary responsibilities of the Board of Trustees. Investure’s active approach to investing is similar to that used by other large endowments. That is to say, it makes very few investment decisions directly. Instead, Investure invests money in large funds run by independent managers, whom Investure selects based on the strategies and performances of those managers over time. Investure works with more than 150 managers at any one time to invest its $10 billion portfolio. These independent managers don’t work solely for Investure. Their own funds are made up of the commingled assets of many other clients, individuals, and institutions alike, and may be invested in domestic and international equities, bonds, private partnerships, venture capital funds, real estate, and other investment vehicles. Investure’s performance over time has been superb. The returns on Middlebury College’s endowment have been in the top decile of endowments tracked by the National Association of College and University Business Officers and are in the top quartile of our peer institutions. In fact, for the 12 months ended June 30, 2012, the Middlebury endowment investment performance was at or exceeded the median return of the eight Ivy League endowments for 1-, 3-, 5-, and 10-year time horizons. The Middlebury five-year return was second only to Columbia University. Specifically, Middlebury College’s 10-year annualized return as of June 30, 2013, was 9.9 percent. That compares to 7.3 percent for the Standard & Poor’s 500 Index, which would be considered a “passive” investment vehicle. Equally important, Investure’s active diversification strategy reduces volatility, which is particularly important in a down market. It is important to understand the significance of that 2.6 percentage-point difference between our actual return and that of the S&P 500. Over 10 years, $1 billion invested in the Middlebury endowment at an annualized return of 9.9 percent would have grown to $2.57 billion. Cut that return to 7.3 percent and it would have grown to $2.02 billion­—a difference of $550 million. Some of the 150 fund managers chosen by Investure have investments (albeit at times small) in the energy sector, either in public companies or through private partnerships. At different times this year, Investure has calculated that between 3 and 5 percent of Middlebury’s endowment is invested in the fossil-fuel sector. The amount varies as managers buy and sell holdings. It is unlikely that any of the 150 fund managers who today invest Middlebury’s endowment in their commingled funds would adopt a policy of fossil-free investing. Whether or not they hold such investments today, investment managers who are incented to maximize their returns do not wish to limit their investment choices. This is the answer to the often-asked question of why Middlebury, or any institution with a large endowment, cannot easily divest an endowment of fossil-fuel stocks. In Middlebury’s case, Investure would have to reinvest more than half of its portfolio. And it would have to gain the agreement of the other 12 institutions it represents to do so. As this is unlikely, we almost certainly would have to withdraw from the Investure consortium, at considerable cost now and in the future. The College established the country’s first environmental studies program in 1965. Since then our students and alumni have initiated and supported countless environmental and sustainability projects around the world. In 2007 Middlebury announced an ambitious commitment to achieve carbon neutrality on our campus by 2016. The College is on track to achieve that goal. We have made visible campus investments exceeding $12 million in wind, solar, and biomass energy generation. This spring the Board of Trustees approved a $1.7 million project to upgrade the campus central heating plant to accept a wide variety of cleaner fuels. We seek LEED Gold certification for new and renovated buildings. Students at the College established recycling and composting programs decades ago, long before they became fashionable. Middlebury’s Solar Decathlon team has qualified twice for the U.S. Department of Energy’s Solar Decathlon competition, which highlights the commitment to developing alternative energy solutions. The Franklin Environmental Center—Vermont’s first LEED Platinum building—serves as a hub for campus environment leadership and learning and Monterey’s new Center for the Blue Economy will be a leader in environmental marine policy.